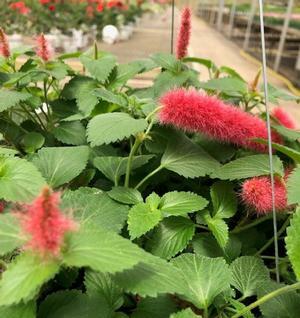 As an easy care plant, Acalypha pendula (also known as the Chenille Firetail plant), looks best in hanging baskets, containers, and window boxes. 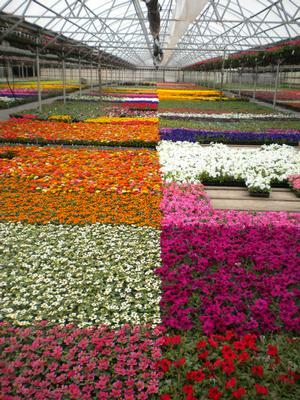 It produces masses of fluffy, red spikes during the season. 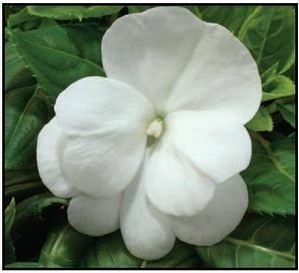 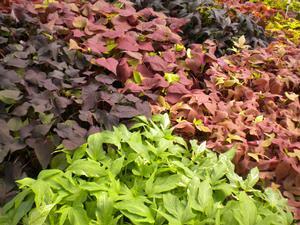 This heat tolerant plant is trailing and is a great 'spiller' item for your garden!